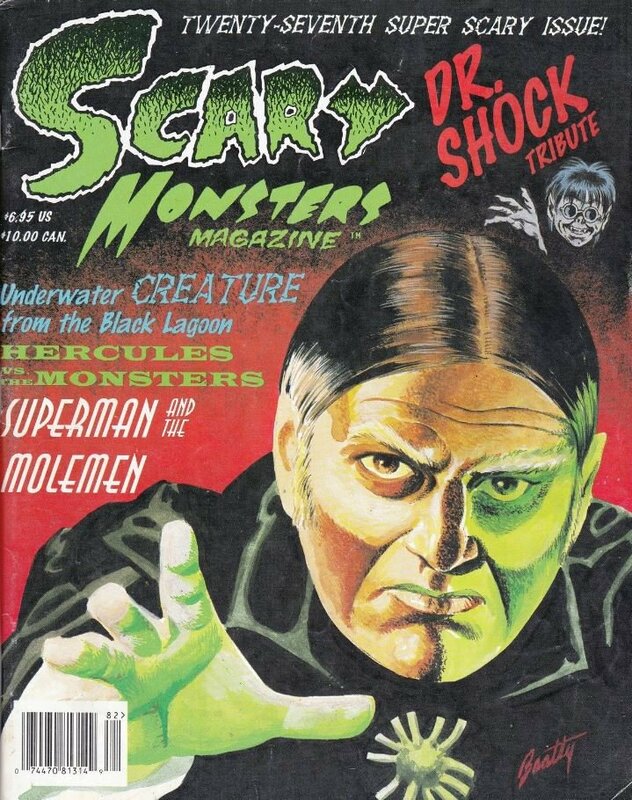 Scary Monsters magazine #27 - Twenty-Seventh Super Scary Issue! MyMovieMonsters.com > Scary Monsters Magazine > Scary Monsters 1-100 > Scary Monsters magazine #27 - Twenty-Seventh Super Scary Issue! This is the Twenty-Seventh Super Scary issue of Scary Monsters, published in June 1998. Each copy is new, uncirculated and picked directly from the printer's shipping carton. Monster Memories The Creature Features T.V. Two-color cover and 162 B&W pulp inside pages.